UPDATE 20th November 2012: Due to recent changes in the Arch Linux boot process, this tutorial is no longer valid. You can still download an old pre-built image and install it, as I explained here. But with this old image, updating the distro (with pacman -Syu) will most likely throw some errors and maybe even break the system. Also installing applications without updating the distro (with pacman -S application_name) will likely fail because of the not updated dependencies. If you have searched the net for a very cheap tablet, maybe you have seen a lot of 7" chinese ones featuring the WM8650 SoC. This SoC has an ARM9 CPU running at 800 MHz, a DSP, a 2D graphics accelerator and a lot of peripherals. Wondermedia WM8650 SoC at 800 MHz. 256 MiB DDR RAM (I think it runs @ 800 MHz, but I'm not sure). 2 GB internal NAND Flash. 7" 800x480 pixels TFT screen. Internal 7,4V 1800mAh LiPo battery. The Android distro that comes pre-installed is pretty usable even without a touchscreen. As the specs of this machine are really far from being impressive, it doesn't run butter smooth, but works very well. Android is OK, but as an Arch Linux fan I am, I wanted to make this netbook run it, so I started searching the net to see if anybody had already made it. 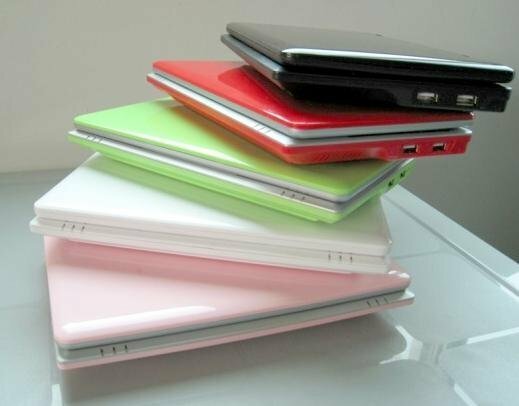 The only thing I found was a Debian port for these netbooks, using the kernel from a preinstalled Android distro. This Debian port works, but isn't very well optimized, and for example, boot time takes almost 2 long minutes. The closest thing I found is an Arch Linux port for a WM8650 based tablet. This tutorial is really great and very well detailed, and my work getting the kernel built is almost entirely based on it. John has made a really good job getting the Linux kernel built for these tablets. In this post, I will detail the process I have followed to get a base Arch Linux system running in this netbook, but I will skip the kernel build process (maybe I'll detail it in a later blog post). Partition and format the card. To do it, I have used gparted application. First create a very small FAT32 partition, and name it BOOT. 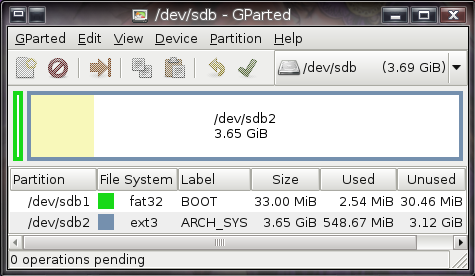 The smallest partition gparted allowed me to create was 33 MiB, more than enough (we need less than 4 MiB). Then create a ext3 partition using the remaining space, and label it ARCH_SYS. Make sure to replace "/run/media/doragasu/BOOT/" with the directory where the BOOT partition of the SD card is mounted. Make sure you replace "/run/media/doragasu/ARCH_SYS/" with the directory where the Arch Linux system partition is mounted, here and from now on. Also make sure to run it as root (write sudo before the tar command if you are not root). We are ready for the first boot. Unmount the SD card, insert it in the netbook and power it on. You should see the Android robot, and then the messages Loading Kernel... and Starting Linux... should appear. In a few seconds, you should be able to see the boot messages, and finally get the login prompt. The first boot will take a lot of time because udev has some problems and eats almost all the CPU. We will fix these proplems in the next step. Default password for the root user is root. Accept the installation of the library, and reboot. Udev should be working fine from now on, and boot time will be a lot shorter. You can create two scripts with these commands, or if you always use WiFi, you can add the first one to /etc/rc.local, to enable WiFi each time the system boots. You can also add this line to rc.local to set the screen brightness to your favorite level each time the system boots. Now you have a fully functional base Arch Linux install. It's highly recommended to update your system (pacman -Syu). Then you can start installing your favorite utilities, window manager, etc., by following the instructions documented in the awesome Arch Linux Wiki. I'll give you some hints for Arch Linux newbies. Skip them all if you are experienced with this distro. You can start by editing /etc/rc.conf. This file contains some basic configuration parameters, like for example the timezone (TIMEZONE), the hostname (HOSTNAME) and some basic network configuration parameters (that default to DHCP on the Ethernet port). Very important in this file is the last line, detailing the services started when the system boots, and the order in which they are started. I usually remove netfs from the list, replace network with networkmanager (you'll have to install it first) and add dbus (you'll need it for the window manager and some more programs). If you use networkmanager instead of network daemon, make sure you put it after dbus. If you don't know how to use the vi editor, press the [I] key to [I]nsert text, when you finish, press [ESC] to enter command mode and write :wq to write the file and quit the editor. If you mess something up, just press [ESC] to switch to command mode, and write :!q to quit without saving changes. Then try again the visudo command. And that's all for today. If you followed this tutorial to the end, congratulations! You should be able to launch GNU/Linux in your shiny WM8650 laptop, with the locale, timezone and (hopefully) Ethernet network properly configured. You should be also able to login as a non privileged user, and use sudo to run tasks as root. If you have questions, feel free to ask them. What? You don't like the console? Don't worry. In the next chapter, we will learn how to install a graphical desktop environment. Stay tuned! I have patched the kernel to make it compatible with the environment of the Android distro that comes pre-installed in some netbooks. You should be able to boot Android (without the SD card inserted) and GNU/Linux (with the SD card inserted). It works on my netbook, but it looks like there are different hardware revisions of these netbooks, and some of them, may require to change some variables in the environment stored inside the internal Flash memory. Typical problems that may arise are for example not being able to use the Ethernet port, or losing the ability to read the internal battery level. If you experience these problems, I can provide you with a modified wmt_scriptcmd that changes some variables of the environment stored in Flash, to make the broken things work. But I'll not post it here unless someone asks for it, because if you overwrite some variables, you may break things in the Android kernel (i.e. you can loose the battery level information in Android). And if you didn't back up that variables first, you might not be able to fix these problems. Other problem that may arise, is that WiFi may not work. WiFi in these netbooks is implemented using an internal USB WiFi dongle. The one used in my unit has a Realtek RT8188CU chipset. I had to search the net for a compatible driver (rtl8192cu) and merge it into the kernel drivers. If your netbook uses a dongle with a different chipset, WiFi may not work. Enable WiFi with the gpio command, run lsusb and show me its output. I'll try to help you to get the dongle working. Of course you may find a lot more problems. Feel free to ask for help! You can also read the follow-up to this post: Arch Linux on a WM8650 netbook (II). Bit of a loss in translation here, but where those 50 euros each, or for the lot? 50€ each. Sure they are cheap, but 10€ each one would be a bargain. Ive seen some of these that run WindowsCE. Would that make it easier or harder to run this? Im kind of a novice when it comes to this stuff. Since I have not one to play with, I'm afraid I don't know the answer. It depends on the bootloader. I don't know what bootloader they use for Windows CE. If they use U-Boot, maybe there's no difference in the process. Normally, Windows CE does use U-boot as Bootloader. ¿Sugerencias sobre donde comprar uno de estos? ¿Ebay? ¿Meten palo en aduana? As the question is spanish tolls related, I'll answer in spanish. Yo compré el mío en Aliexpress (http://www.aliexpress.com/snapshot/107367194.html), y me costó unos 50€ gastos de envío incluidos. Generalmente no tienes problemas con aduanas (yo al menos no los he tenido) porque los chinos suelen declararlo con un valor mucho menor del real, y en la descripción ponen cosas como reproductor MP3 y demás. Si compras muchos de una vez, tal vez tengas problemas, pero de 1 en 1 no creo. Por supuesto cuando te pongas manos a la obra no dudes en preguntar lo que quieras. Si son cosas de interés general, te pediría que a ser posible preguntes en inglés, aunque no hay problema por hacerlo en castellano. Now I need to read some info about the SoC, but having a little experience with uBoot & friends, I hope it will be easy enough. Unfortunately I couldn't find detailed info about the WM8650, because documentation isn't disclosed. You have to sign a NDA to get it :-(. Thanks for the document. I already found that doc, but that's only a brochure, and useless to code low level stuff for this SoC. The Ethernet on mine is non-existent. Any chance of getting that modified script? 2.- Replace the default wmt_scriptcmd in the BOOT partition of the SD with downloaded one. 3.- Start Linux on your netbook, Ethernet port should be working now. 4.- Power off the netbook and restore the original wmt_scriptcmd to the BOOT partition. If you fail to do this step, everything should continue working, but each time you boot Linux, U-Boot config will be overwritten (with the same configuration, but overwritten anyway) and in the long run, you can damage the flash partition used to store U-Boot environment. Please let me know if the script works, and if is compatible with the Android distro in your netbook. Hi, can you test if the wifi card is capable of Monitor mode and packet injection? Anyway, you should be able to use any compatible USB wireles dongle. Maybe the order I wrote them can cause problems. If that's the case, let me know and I'll correct it. Thanks for confirming, I'll change it right now. i'm failing at the same point. to type the commands as shown above doesn't work.any advices for me? Can you share the output of a lsmod / lsusb / lspci / lspcmcia for me? Has anyone else noticed what looks like an unused USB port at the bottom of the main board? Could this be used to access low level debug features? I have not tested it, but it looks like a serial port (TXD, RXD). USB ports usually label the data lines as D+ and D-. It is probably just an UART for debugging purposes, so if you want to mess with uBoot, you just probably need to hook that to a transceiver and to a serial port in your PC (If you have any ;) ). The boards i've seen use to comunicate at 115200 bauds. See you, and thanks for all, Doragasu! very nice work thanks and excellent instructions. Do you have a USB to serial driver ftdi_sio.ko compiled for this kernel? I want to use it to run my weather station. + Patched Ethernet initialization to support devices with wmt.eth.param=1, without having to use a modified wmt_scriptcmd. + Added modules for common USB to RS232 adapters: FTDI, CP210x, pl2303 and garmin_gps. + Added modules for Bluetooth devices. I'm planning to put this in a new blog post, when I have time to write some more things. Do you happen to know which parameters in wmt_scriptcmd you need to modify to make the battery indicator work? I tried to set wmt.io.ts to 1:uor6150..., according to John's guidelines - but I get tons of "ERR: UOR_IICRead() Failed, errno=.5" messages, and a constant capacity of 0 then... Probably because the netbook doesn't have a touchscreen, but I have no idea what should I put there instead. I'd appreciate any hints, thanks! WOW, after updating wmt.gpi.bat it works, and it didn't break the Android's battery indicator! :) Many, many thanks! BTW, would it be a problem for you to share your .config file & patches you have made to the kernel source? Your build is working great, except for the fact that I have a different WiFi adapter and would have to compile the appropriate driver - if I take John Williams' precompiled binary or try to compile with unpatched kernel sources, I get a "module_layout mismatch" while trying to load this module..
1.- Bogomips count is not properly calculated in /proc/cpuinfo. It should be about 800, but is reported as 299. I know the CPU is working at 800MHz because the programs take the same time with my kernel and with the Android one (that properly reports bogomips near to 800). 2.- The terminals lack cursor. Cursor is working in virtual terminals inside X-Windows, but text terminals lack it. I have tried several hacks, but I can't switch it on. Anyway, I have not much time to continue investigating the sources, so I think I'll release them as they currently are, and maybe somebody will be able to solve this problems. As for #2, I've also noticed that and tried to find a solution, no success so far though.. I'll let you know if I come up with anything. Are you booting to a live SDcard of ARCH or an installation? Can this netbook boot to a live SDcard? I need to hide the ARM's UUID. Can you write a script to disable the Linux kernel from reading the processor's UUID or die-id and not make it available to user space via some /proc/ entry? I'm booting Arch to a SD card. I left the internal Flash untouched, so it boots Android unless I insert the SD card with the Arch install. I have now completed install and have quicker boot coupled with desktop when i log int the network manager applet doenst find any wirless networks any one know why ? Bus 002 Device 002: ID 04d9:2ba0 Holtek Semiconductor, Inc. Your WiFi dongle is based on the RT5370 chipset. Unfortunately the driver for that chip is not included in the available kernel. There are sources available, if you don't know how to do it, I can try to build them when I get some time. I assumed that would be the case I am a little more experianced using Ubuntu and have seen a guide on the chip set so I may give it a try. Is it a case of compiling the driver then loading as a module ? Yes, that's a possibility. The other way is integrating the module into the kernel tree and then enabling it and building the kernel/modules. Mine came with RT5370 too (as well as VT6105/VT6106S Ethernet module). Any ideas what can I do? I will try posting a new kernel update that should solve problems with WiFi and Ethernet. But now I'm on holiday very far from my computer! I've got the same WiFi device in my netbook like pete. I'm not sure what is necessary to get this work done, but if anyone can help me at the beginning, that would be a relief. I have updated the kernel and modules (drivers). Some users with the same WiFi device as yours have reported it's working for them. Well, the ethernet is working now, thank you for your help, but WiFi seems not to be working, but that's not that bad at all. there are another problems, LXDE is working, but only if i start x manually. If i type my login into slim lxde won't start, i have to press ctrl + alt + F1, then i see the standard terminal which is asking for login. well, i solved the problem with installing pcmanfm. the only two things to solve are the WiFi that isn't working, dmesg says "rt2870: probe of 1-4:1.0 failed with error -1"
Are you using the updated kernel and modules I pointed in my earlier post? Have you tried manually loading the rt5370 driver using insmod? Also have you upgraded your system using "pacman -Syu"? I had problems with module auto-loading when I did it last time. I solved it by manually moving everything in "/lib" to "/usr/lib", and then creating a "lib" symlink pointing to "/usr/lib". I did everything what you mentioned in your tutorials. after i configured to autoload the module at startup and toggle the GPIO to activate WiFi, it seems to work, with "iwlist ra0 scan" i found my router. So now, the wlan device seems to work. I put the line "@nm-applet" to the startup file, but it doesn't start the nm-applet, so i can't use the network manager. rc.conf is exactly like yours except of the netfs daemon...maybe i could delete this one. and slim won't start lxde at all, but one thing at a time. You mentioned a Debian port but did not give a reference. I prefer Debian over Arch. The Olimex single board uses the same ARM 926J processor. Previously, I could not find a Debian or Fedora port for it. Could you please give a link to the Debian port? Is it possible you can place an image of it? It includes a prebuilt image of the filesystem and it's a lot easier to install. But be warned you still need to create the partitions in the SD card. I have a very similar looking Crystalview 1GHZ netbook. I can't seem to get it to boot off the SD Card. Might I have to modify the boot script to get it to work on the slightly different hardware? I get a little picture of tux in the upper left corner then the android boot animation logo and then it boots into android like always. Sorry for the late reply. Unfortunately I don't have a netbook like yours to play with, so I don't think I can help you too much. I suppose that netbook is not WM8650 SoC based. If I'm right, to get it working you will need a different kernel, suited to the SoC in your netbook. Thank you. You were right, it seems I have a InfoTMIC X200 inside mine. And repeat steps 2 and 3 of the tutorial, but with these files instead of the original ones. I hope this solves Ethernet problem. I'm not sure how we can get the complete amount of RAM working. Maybe we only need to pass the right value to the memtotal variable in the boot script. Have you installed other Linux/Android distros to your netbook? If you did, maybe other bootscripts could have overwritten the right value. In any case, you can try getting the values stored in the Flash. Repeat the steps depicted in this post (http://www.slatedroid.com/topic/34131-help-to-get-default-environment-for-wm8650-netbooks/) and post the results. Now ethernet works . But the memory problem , I think that you could make a version of the wmt_scriptcmd but with the mem=512M for testing. Maybe that work. I dont have yet install android on this netbook and the factory WinCE its not working after use Arch. I am reading the link with the steps but looks for profecional , maybe chaging the wmt.. first and them try the other... ?? Unzip it and overwrite the default one in the SD card. Please let us know if it works. 512 MB would be a nice upgrade for these netbooks. The wmt_scriptcmd file I uploaded must be copied to the FAT partition. Failing to copy files to the EXT3 partition could be because of a lot of reasons. I/O error sounds to me like a filesystem or hardware problem. Maybe there's a problem with the SD/MMC card reader, maybe the filesystem and/or the partition table got corrupted. Or maybe the SD card is one of that fake/counterfeit chinese SD cards that rise all kind of problems (did you buy the card at eBay?). You can try clearing the partition table and creating again the partitions from scratch. If that doesn't solve the problems, my guess is that either the SD or the SD/MMC card reader is damaged. Finaly I test the wmt_scriptcmd but freeze or get standby on firts stage of "Starting Arch Linux..."
Maybe its the amount of Ram Because I use a Uberoid V11 with patch and the memory size that they put is 468 . I want to know how I boot this arch linux with a SD card but the root in USB drive . I try changing the wmt_scriptcmd but not detect the USB drive and give kernel panic. Maybe you can do that by replacing "root=/dev/mmcblk0p2" with "root=/dev/sdX", with X = the node in which USB device gets mounted. But I'm not sure you can achieve this without rebuilding the kernel, because usb_storage is built as a module, and I suppose you need to build it inside the kernel. Also I would recommend you increasing the rootdelay (i.e. "rootdelay=10"). Also, did you solve the RAM problem? Testing and Testing.... I dont find the right amount for memory on the wmt_scriptcmd only 212 or 244 works . WinCE7 show memory size of 368 mb . But forget that, now I really want to boot this Arch version from a USB drive but I cant . I think its the kernel (uzlmg.bin) that not have that option. Could you make a new version of the kernel with that? I'm sorry but I'm not building customized kernels anymore. It takes time I don't have right now. You can try building it yourself. Once you set up a cross compiler, it should be easy to do following the tutorial in this blog. With Archlinux this netbook is what I was looking for! and this one, that has a bigger screen but a slower processor, the description says 600Mhz. What do you think, will it run slower than the one with the 7inch screen? I suppose both netbooks should work as long as they are WM8650 based, but maybe you will have to do some tweaks to the 10.1 inch one to get the right video mode and the front camera working. It's difficult to know without having one to test. About the 600 MHz CPU clock, I don't know if it will make a big difference. Maybe the 600 MHz CPU speed is a typo. These WM8650 based netbooks and tablets usually have a small board with the CPU + Memory soldered to a bigger PCB with the peripherals. It would be a bit strange if this netbook wouldn't use this "standard" CPU board with the "standard" CPU speed. I guess I buy the 7inch one, because of the higher battery life (4h). About the CPU clock, i don't think that it's a typo, because many more sellers are offering it and everyone of them has the same specifications, 600Mhz. If you want to install Arch in your netbook, you only have to use pacman on your netbook's console. You don't have yo use pacman on your Ubuntu based PC. On your PC you have to do the steps to prepare the SD card: partitioning, formatting and copying the filesystem. All the remaining steps are done in the Arch install on your netbook. Hi,I tried to boot on my WM8650 as above, so at login I entered root and the answer was missing libpam.so.0. Any idea what happened? Thanks in advance. And I installed usb_modeswitch & wvdial. I modify wvdial.conf file as per my USB dongle. I have the same but black computer than you! but i can pass from first boot, the message is: unit ssh services entered failed! hope you can help me! my mail is luisascoobydoo (at) gmail .ccom thank you! Hello world! :)I have a small question)Can i do tis process on my tablet( samsung galaxy tab 10.1 or p7500)? A quick google shows that you can, but the process is completely different. "Make sure to replace "/run/media/doragasu/BOOT/" with the directory where the BOOT partition of the SD card is mounted." doragasu: Thanks for your guide, and I have ARCH on my netbook. Now, I want it installed on my nand. Can you help me out? PS. I delved into the comments and found a post by Wicnx (pardon me if I make a mistake but I think this was the name), and I found that I have to make wmt_scriptcmd file. When I opened it in vi, it contains strange characters, meaning it's a compiled file. How can I build one such file on my PC? Same problem here. If you know how to make it work, please post it here! Hello, I tried it, but I have message Kernel Panic - not syncing: No init found. Try passing init = option to kernel. Please help! What can I check? 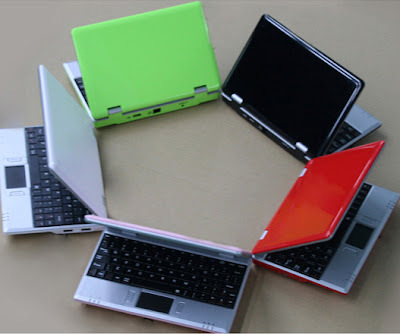 Do you have any info on how to enter ANDROID RECOVERY MODE on these netbooks? I have one that no matter what, won't boot. It boots to a black screen to be exact. Many tutorials said to enter android Recovery Mode upon boot by pressing certain Volume-up key + power button but these netbooks do not have volume buttons!.. I also read about Fn+F2+Home. Doesn't work for me.